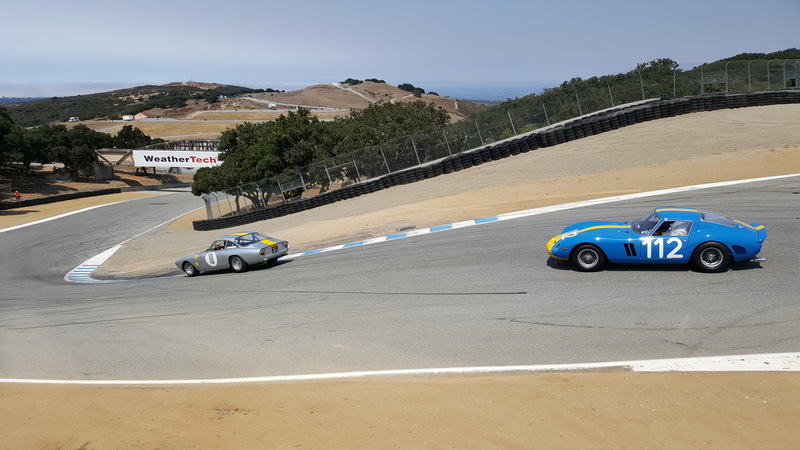 Here is another great journal-cast highlighting the great racing cars from Group 2 (1955 thru 1962 GT racing cars) from the 2016 Rolex Pre-Reunion at Mazda Raceway Laguna Seca. . It was amazing to see such rare Ferrari racing cars in this group. 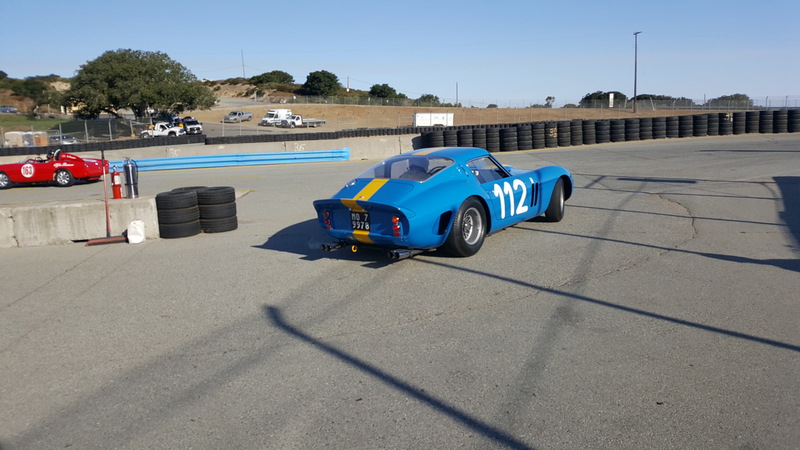 There was an especially beautiful blue and yellow 1962 Ferrari 250 GTO that was #112 that stood out to me very much. The experience was like seeing Sophia Loren for the first time. She is simply gorgeous in every way. 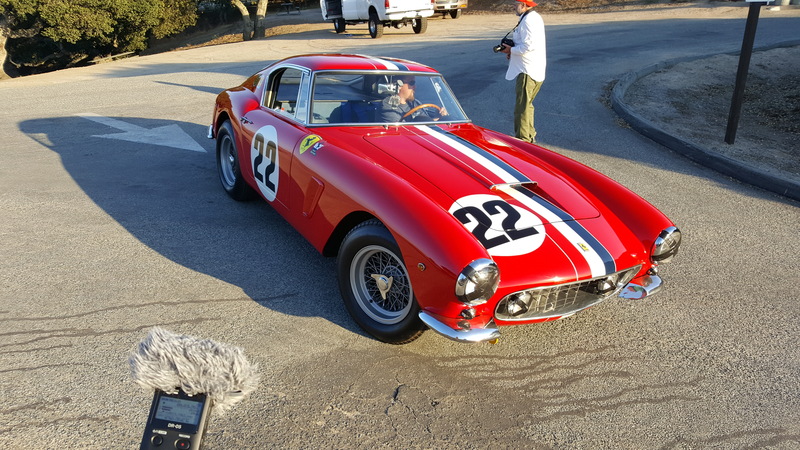 Apparently this race car has undergone significant 2 year restoration at Ferrari Classiche in Italy, after a very devastating accident. Anyway, I had a great weekend at the races and I hope that my great weekend comes out in this journal-cast. 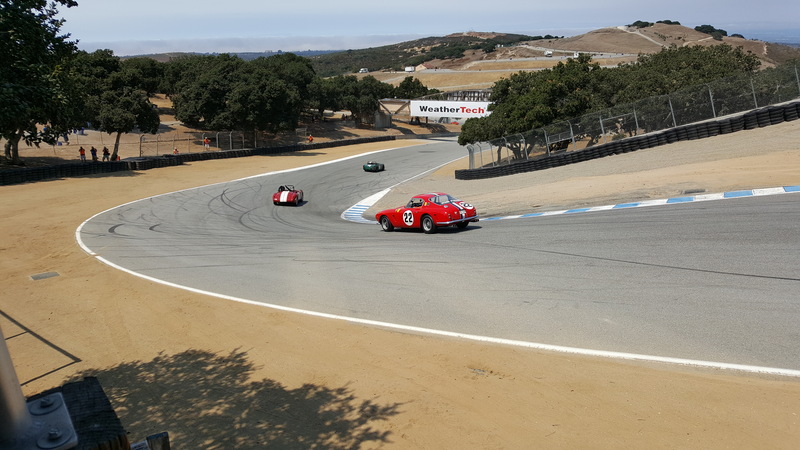 This journal-cast features a few cars in the paddock as well as cars going through turn 6, then turn 11, and then at “The Corkscrew”.